PCRecruiter has once again been ranked a top-ten choice in the Applicant Tracking Software category guides from Capterra and GetApp! These sites are two of the B2B software industry’s leading directory / recommendation engines. They release regular reports based on user-submitted reviews, feature breakdowns, pricing, integrations, and other factors. 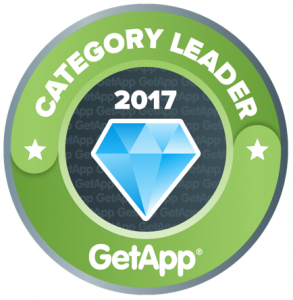 This quarter, GetApp’s Top Applicant Tracking Software list has ranked PCRecruiter in the top ten. The position is based on the strength of ratings from our users and our competitive stance in the mobile app for iOS/Android category. On the Capterra site, PCRecruiter was included in the top ten Most Affordable Applicant Tracking Software list. Our cost of ownership was favorable compared to other ATS options, based on a hypothetical 2-user, 2-year license with the complete host of available features and services. Main Sequence truly appreciates the recognition of PCRecruiter’s great ROI and comprehensive range of functions from these valuable independent services. We invite all of our users to write their own review of PCRecruiter on Capterra or GetApp so that your opinions and experiences can be included in future rankings!